Obviously I didn't get this posted last night. I forgot to take a picture of her before she went to daycare. 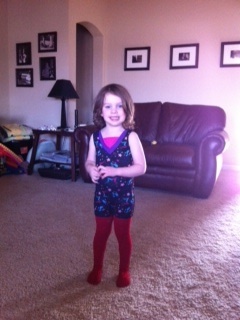 I did get a picture of her in her dance outfit. She thought she was hot stuff! Pretty sure it's all from Target. On another note. I went to Old Navy today. I heard a rumor they had some cute spring dresses. I played dress up with Shrek and Donkey while I was there. 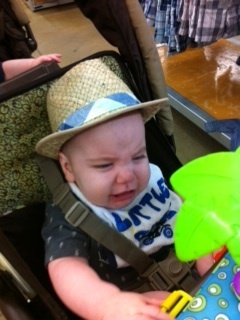 He wasn't too thrilled about it. He didn't mind. 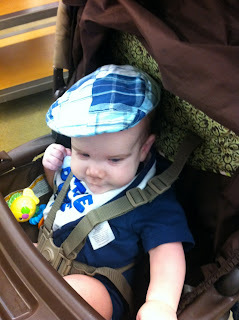 He also looks just like my father in law in this hat. The Dilemma of a M.O.M.